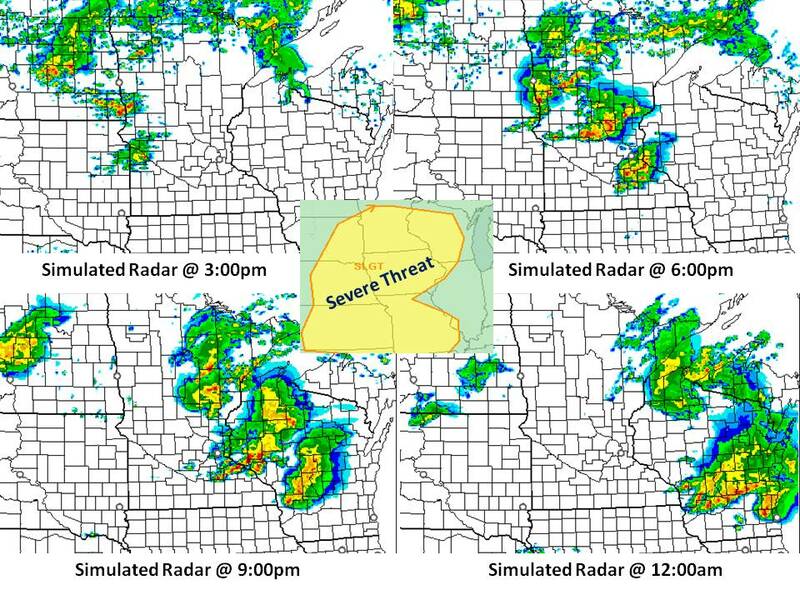 SLIGHT RISK OF SEVERE WEATHER across much of the Midwest. The main line of thunderstorms (depicted in the simulated radar) will come with the cold front late this afternoon and into the overnight. The line will develop this afternoon and weaken as they head east late this evening. Damaging winds, large hail and a couple tornados should be expected. 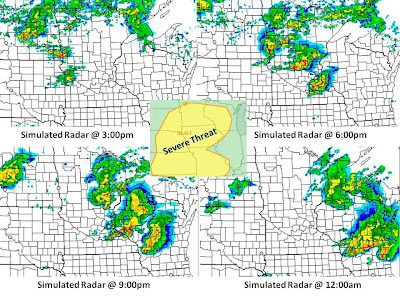 Scattered strong to severe storms are also possible in the "slight risk" shaded area in yellow in areas further south this afternoon.